Spain is beginning court proceedings against 12 leaders of the region of Catalonia for their role in the region’s independence referendum and the subsequent declaration of separation from Spain. 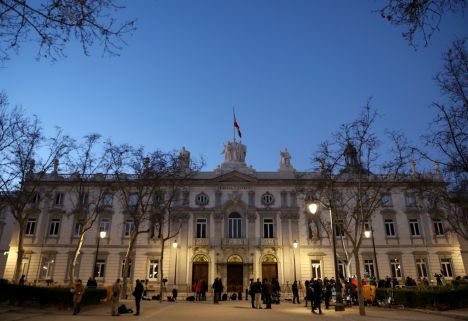 French news agency AFP reports that the proceedings begin in the morning of Tuesday, February 12, at Spain’s Supreme Court in Madrid, and will be broadcast live on television. The trial is expected to last three months, with the verdicts delivered several months later. The court proceedings are the «most important» since Spain returned to democracy following the death of dictator Francisco Franco in 1975, Supreme Court president Carlos Lesmes said to journalists recently. Catalan separatists have dismissed the trial as a «farce» which is politically motivated and have called for mass protests in Barcelona. Carles Puigdemont, Catalonia’s former president who lives in exile since the declaration of independence, is not among the 12 defendants, as Spain does not try suspects in absentia for major offences. The 12 defendants in the case are members of Catalonia’s then executive as well as the two leaders of powerful pro-independence associations and the former president of the Catalan parliament, who face prison terms of seven to 25 years.